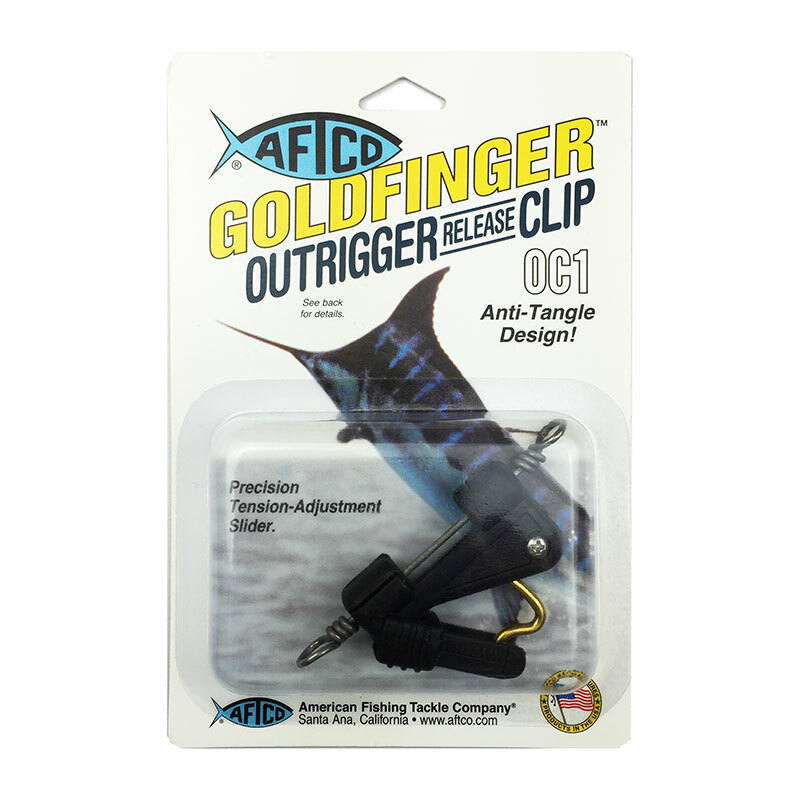 AFTCO Goldfinger Outrigger Release Clip with precision tension adjustment slider. 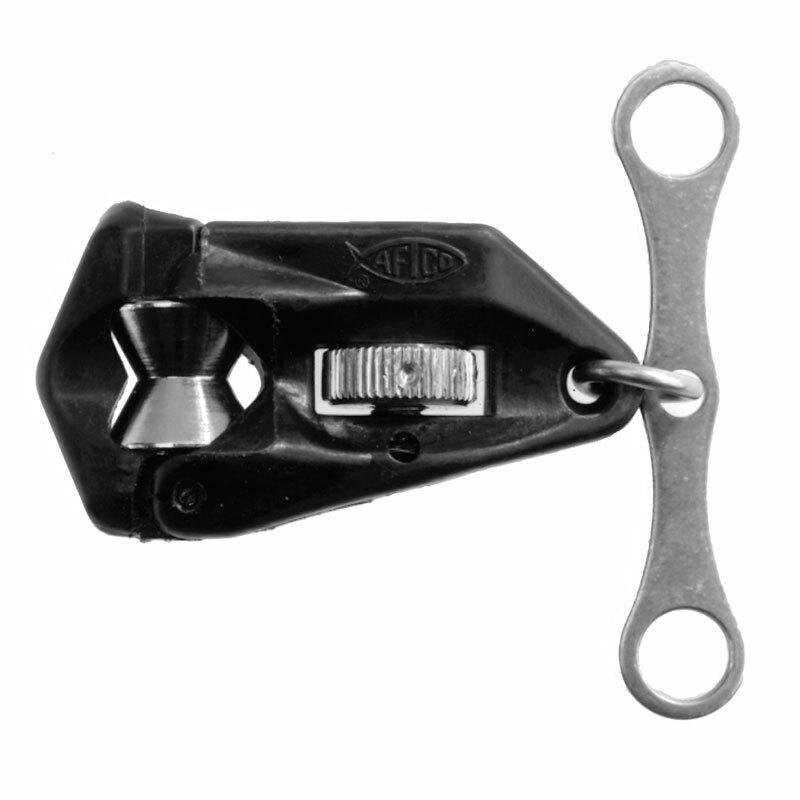 The AFTCO Goldfinger outrigger release clip is an adjustable clip that allows precision adjustment to ensure consistent release tension. 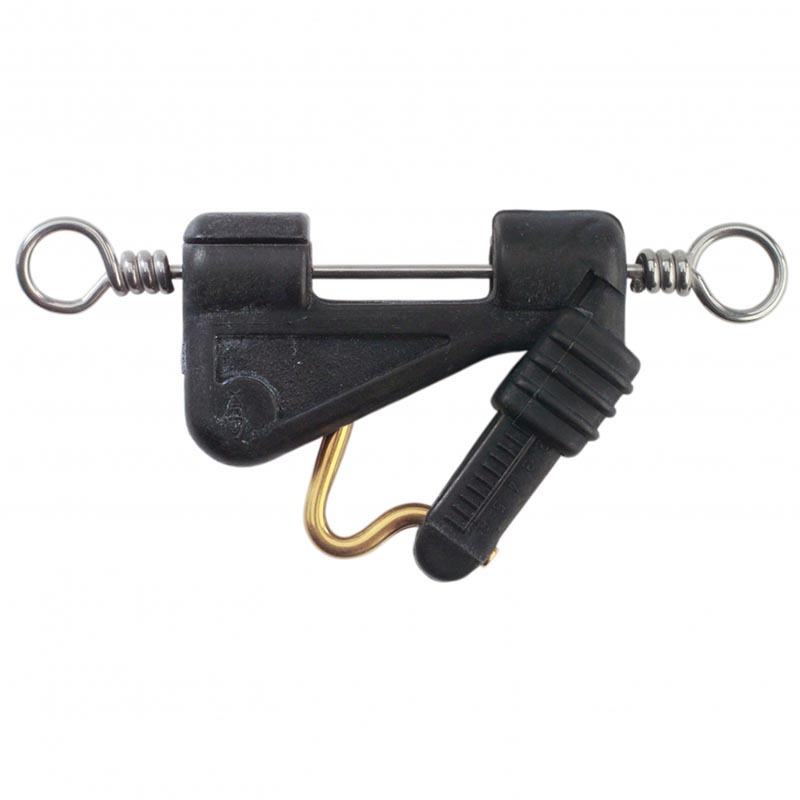 The clip should be attached directly to the outrigger halyard without swivels and the adjustment slider should face upwards towards the top of the outrigger. The release bail is oversized, polished and coated with gold titanium-nitride to reduce line wear. 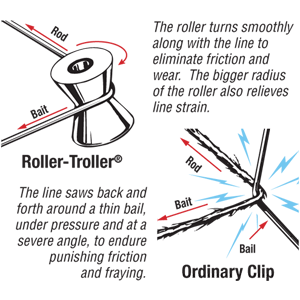 AFTCO’s improved Roller-Troller® Outrigger and Flat Line Clips protect lines with legendary “roller guide action.” Featured is a stainless steel roller that never roughens or grooves, with an AFLON™ *Teflon® coated bearing for silky-smooth performance. 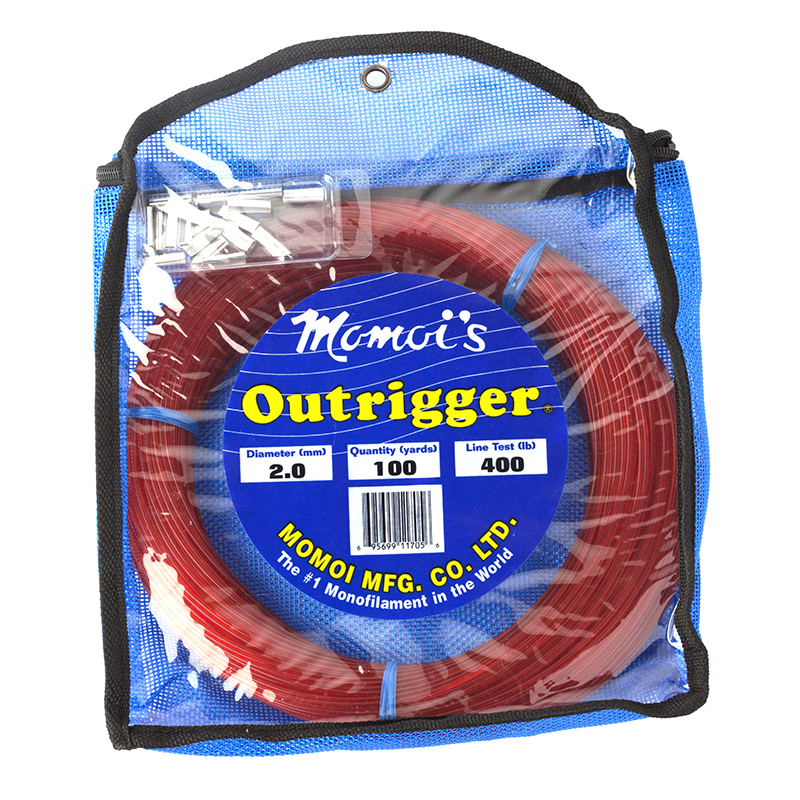 The “improved” micro-tension adjustment turns easily, and once the tension is set, a precision-engineered latching system will release your line repeatedly at exactly the same pull. 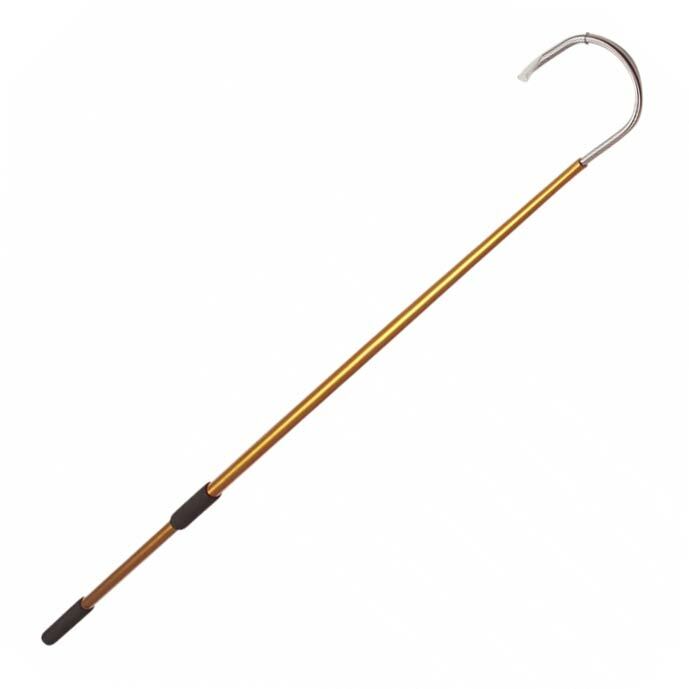 Most importantly, trolling lines roll smoothly over a polished stainless steel roller that turns right WITH the line — virtually eliminating the friction and fraying associated with the backand- forth “sawing” motion of lines running across thin wire bails of ordinary outrigger clips as lures skip and jerk through the water. With Roller-Troller® Clips, your line holds its rated strength, ready for those crucial moments of greatest stress when big bluewater game fish strike.